My introduction to Northeast Ohio’s Hemlock Falls came from an Instagram post. Ever since then, I’ve been scheming a time and place to see this hidden waterfall. I’m so glad we did! What an Ohio gem! 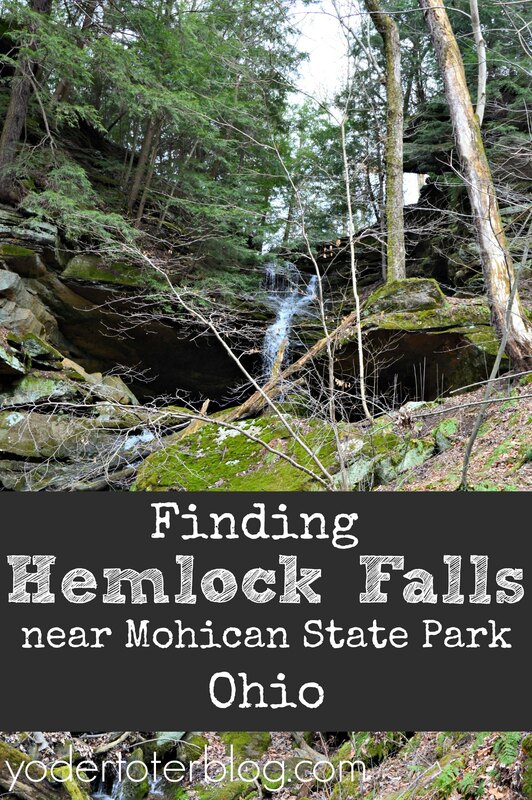 While Hemlock Falls is located NEAR Mohican State Park, it’s actually on private property managed by the Mohican School in the Out-of-doors. Eventually the Falls will be on the new B & O Trail as the land was recently purchased by the Mohican Watershed Conservancy. How to access Hemlock Falls? You must call and get permission. 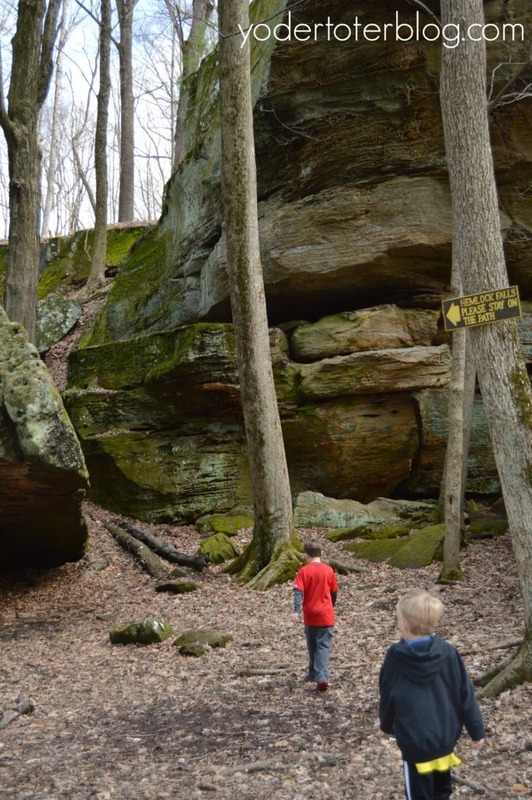 The Mohican Outdoor School hosts school field trips, so visitors may not always be welcome. If you’re coming from out of town, you can call and set up a time in advance. We live 30 minutes away, so I waited for a unseasonably warm day and called for availability. After you park near the Field Trip Center (across the road from the school), you will need to follow signs that are located on tall poles or trees. They aren’t the easiest to find! We actually got off of the trail at one part and needed to cross the creek on foot to get back on the trail. There are no blazes. Then, once we got to the bridge where you view Hemlock Falls, there were signs saying the trail we were on was actually closed. Uhhh??? 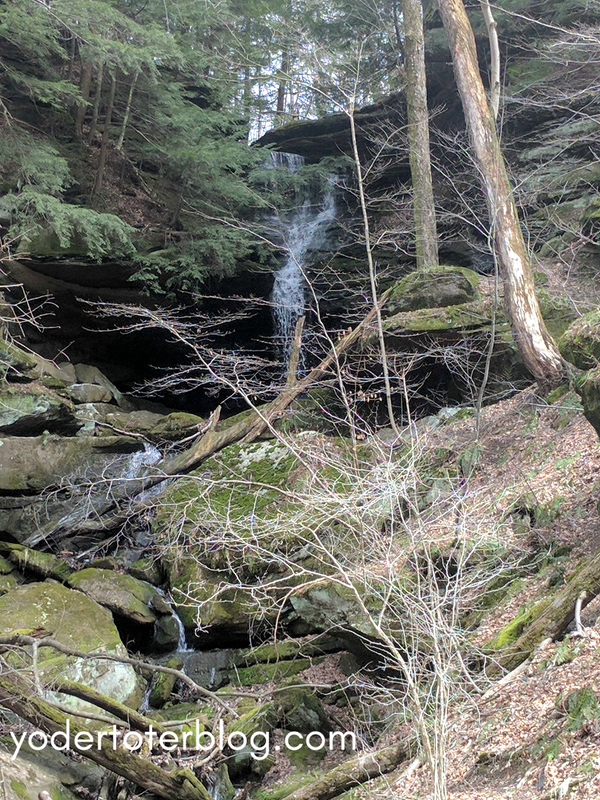 Nonetheless, the site of a 60+ foot Hemlock Falls, one that’s not heavily visited like Big Lyon Falls at Mohican or Ash Cave in Hocking Hills, made the momentary stress of finding the waterfall dissipate. If you go, I’d ask for very clear directions from the Outdoor School. I would not have been concerned except I was alone with my three kids AND there is no cell phone reception in this area. That’s not the best combination! The Hemlock Falls trail is slippery when muddy, so wear your best hiking shoe (see my favorite HERE)! 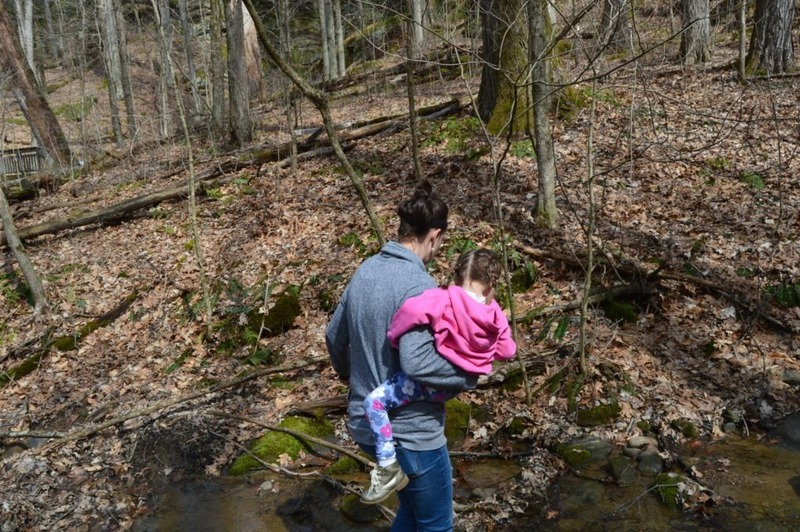 Also, our youngest is 3 and she was able to manage the trail with a little help from me. I wouldn’t bring much younger children unless you have them in a hiking carrier. It’s very hilly. Hemlock Falls is located approximately 25 minutes south of Mansfield, OH or 30 minutes north of Mount Vernon, OH. Where to stay: I loved my stay at the Mount Vernon Grand, a closer option would be the Hampton or Best Western on the south side of Mansfield. 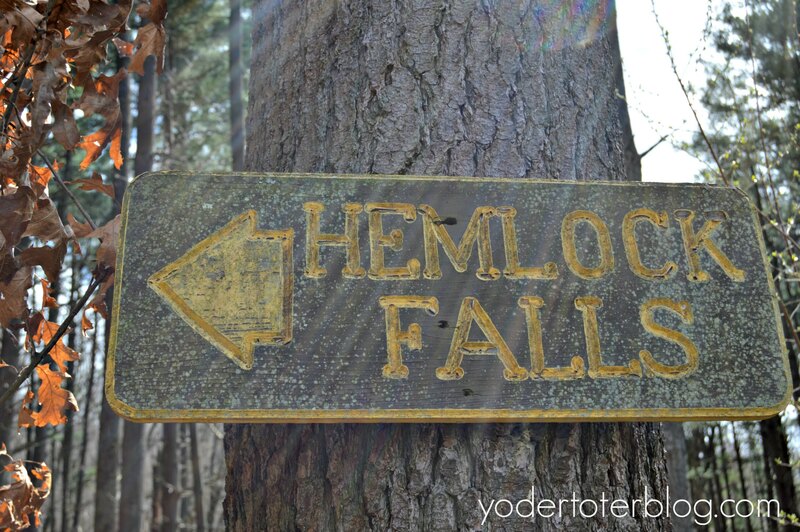 Have you been to Hemlock Falls? It’s a gem for Northeast Ohio. Let me know if you go!